I requested this book at the last minute from Edelweiss, because I had recently been auto-approved for Balzar + Bray and I had heard a couple of people rave about this one. Of course, I had to stick my nose in and find out what all the hype was about. Since finishing this book, I still have no idea how to answer my initial question. Why do people love this so much? I found Twinmaker very boring right from the word starting point. I tried to give it a chance, but by the time I was 10% of the way through I just wanted the book to be over. My boredom was caused by a number of factors, the most prominent of those being the world building and the characters. 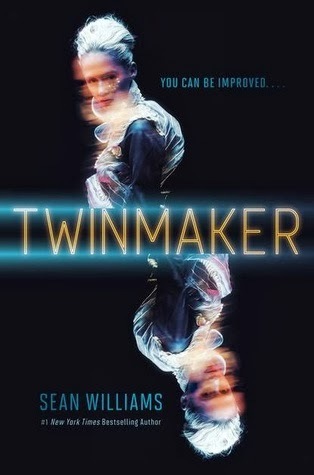 In the end, I chose to just skim read Twinmaker. 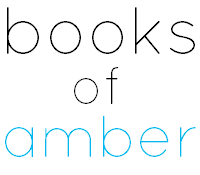 I knew that I wouldn't make it to the end of the book otherwise, and I really wanted to make it to the end so I didn't have to write a DNF review. I don't like doing those. The lack of world building got on my nerves right away. The characters were all talking about the Air and Improvement and other such things, and I had no idea what they were. There was no explanation, it was one of those learn-on-the-job type scenarios. I think I was able to figure it all out by about 25%, which is far too long to wait, and even after that I didn't get any confirmation that I was correct. So I could, in theory, have read the entire book wrong. The jumping stuff itself was interesting. I like the thought of being able to teleport from one country to another, and having friends from all over the world who go to school with you, but it wasn't enticing enough for me to enjoy the book. Clair, the main character, is someone that I despised from the very beginning. The reason for this was because she cheated with her best friend's boyfriend, Zep, who was also a complete prat and I didn't like him at all either. Once this had happened, in the first thirty or so pages no less, I was completely put off. I didn't want to read about a character who would do that to her best friend. There was also a twist towards the end involving Q, which I thought was common knowledge to begin with. I was shocked that Clair was shocked. I'm actually really sad about this book being a flop, because I was so looking forward to it. I love a good sci-fi novel, and this sounded so promising, AND Braiden loved it. I feel like I missed something. I totally agree. I had to DNF :-( Clair was very bothersome to me and hard to relate to--and cheating on your best friend?! So unlikeable. If you missed something I did too, because I couldn't get into it. Cover looks nice. Shame you DNF'd it. Not adding to TBR then.